Whiplash Claims – How Much Compensation Can I Claim? According to Personal Injury Law in the UK, anyone who is injured in an accident that was due to no fault of theirs may be entitled to claim compensation for their injuries. The aim of this compensation is to help the injured party get back to the same position they were in prior to the accident. The amount awarded to each injured party is different. It varies depending on the severity of the injuries as well as the total out of the pocket expenses incurred. What Is The Average Compensation Amount For Whiplash Claims? The Average compensation amount for whiplash injuries is £2,750 in the UK. Most whiplash claims are settled within 6 months of starting the compensation claim. Whiplash injuries sustained in a car accident or due an accident at work come under the purview of Personal Injury Law. If you suffered whiplash injuries after being in an accident that was somebody else’s fault, you should explore your right to file a claim for compensation. The symptoms of whiplash injury vary widely, depending on the circumstances of the accident. A collision at low speed is more likely to result in mild symptoms whereas the symptoms will be more severe in a high speed collision. Some of the more common whiplash symptoms range from neck and upper back pain, headaches and dizziness to ringing in the ears, pain in the lower back, arms and legs and difficulty sleeping. In more severe cases, a whiplash injury can also leave a person paralysed. The time it takes for the symptoms to manifest can also vary widely. The symptoms may be immediately noticeable in one accident victim whereas in another, it may take a few days or even a few weeks for the symptoms to develop. Whiplash is a complicated injury with far reaching consequences. Calculating the compensation amount is just as complicated. To ensure that whiplash injury victims are fairly compensated, the award amount is broken down into two parts – general damages and special damages. The sum of both these makes up the final compensation amount that is awarded. You can also visit our whiplash compensation calculator page. The Judicial Studies Board decides on the amount to be awarded under General damages. This is calculated based on the severity of the whiplash injury and the impact it has had on the victim’s life. Special damages are calculated differently. These damages cover your actual expenses. The amount awarded under this category depends on what you have had to pay out of pocket towards doctor’s fees, diagnostic tests, medical treatment, hospital visits and parking, cost of medications and rehabilitation procedures and cost of mobility aides. It also covers the cost of any structural changes you may have had to make to your home or vehicle, cost of professional home care and loss of income or work bonuses. Any other expenses that you had to bear as a result of the whiplash injury are also covered under special damages. The one problem that arises because of the many variables involved in calculating the compensation is that you could end up getting less than what you are entitled to. The chances of this happening are higher if you file the case yourself without any legal help. An experienced lawyer will be more familiar with this area and will fight to get you the best settlement possible. If you have sustained whiplash injuries that were caused by a road accident, you have a legal right to claim compensation for your pain and suffering and also for your financial losses. The best way to file a whiplash injury claim is through an established personal injury lawyer who specialises in this area. Most reputed lawyers will give you a free first consultation where you will get a chance to fill them in on exactly what happened the day of the accident and after. The lawyer will listen to your explanation and also examine the police records and the doctor’s report, take a look at the photographic evidence and CCTV footage and also read the witness statements. Dash cams are also helping victims who win car accident claims and the amount of people using dash cams in the UK is growing. Based on all of the evidence, the lawyer will determine whether or not you have a strong case and will advise you accordingly. They will also give you an idea of the amount you can expect as compensation. If necessary, the lawyer will also get an expert medical professional to take a look at your medical records and give their expert advice regarding your injuries. If you have a strong case with high chances of winning, the lawyer may agree to file the case on your behalf and represent you in court. Once both parties – you and the lawyer – agree to the terms, the lawyer will go ahead and put together the case and initiate court proceedings on your behalf. Most times, if you have a strong case, you will find that the claim does not even get filed in court. More often than not, once the defendant’s insurance company gets to know that you’ve got a lawyer to represent you, they would prefer to back down and settle out of court. When you hire a reputed personal injury lawyer, you can rest assured that your personal details will be treated with utmost confidentiality and no third party will have access to this information. 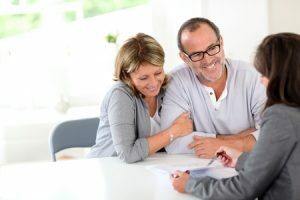 If you are hesitant about hiring a lawyer because of the legal fees involved, you should know that you are at no financial risk at all right through the process. This is because most personal injury lawyers offer their services on a No Win No Fee basis. You may also hear it being referred to as a Conditional Fee Agreement. A Conditional Fee Agreement means that the lawyer will agree to represent you without charging you any upfront fee. From the beginning right through the court hearing and the legal process, the lawyer bears all costs, including the court fees, consultant’s charges and other miscellaneous expenses. You only pay the agreed-upon fee on condition that the lawyer wins the fee for you. In the rare case that the claim is unsuccessful, you are not liable to pay any legal fees at all. You could say this is definitely a risk-free, win-win situation for you. This No Win No Fee agreement helps all victims of road accidents get the legal representation that they need without worrying about having to pay any upfront legal fees. When you hire a personal injury lawyer for your whiplash injuries, the lawyer will work to make sure that you get your compensation in the shortest time possible so that you can get the financial assistance when you need it most. Compensation for whiplash injuries can vary widely depending on the type and severity of the symptoms. 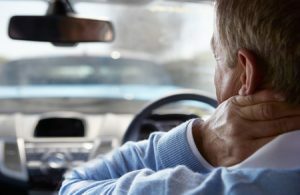 While about £1,000 to £2,750 may be awarded for milder whiplash injuries, more severe injuries, especially if the spine is damage, can attract a compensation of up to £97,500. Here’s a look at the approximate amounts awarded for the different types of whiplash injuries, from very serious to moderate. Very serious head injuries attract the highest compensation. This is awarded to individuals who are left severely brain damaged after the accident. This could range from those who display minimum response to outside stimuli to those who are completely unresponsive and in a vegetative state. The high compensation covers the cost of full-time nursing care that the injured person is sure to require. This high compensation range is typically awarded to individuals whose neck injuries are so severe that it restricts their ability to move their neck freely and it also impacts the movement in one or more limbs. Very serious neck injuries could include a neck fracture, severe soft tissue damage, dislocation or damaged disks. High compensation for serious eye injury is awarded if the injury has left the injured person completely blind in both eyes, or blinded in one eye with seriously impaired vision in the second eye. Very serious back injury also attracts high compensation particularly if surgery is required to restore back function or if the spinal cord is damage resulting in partial or complete paralysis, inability to walk, loss of loss of bowel/bladder function and psychological issues. Severe scarring and facial disfigurement entitle the victim to high compensation amounts depending on the extent of the damage done. Women who suffer face injuries typically receive a higher compensation than men with similar injuries. Severe pain in the shoulders usually tends to radiate to the neck, elbows and upper back resulting in significantly restricted movement and disability. Very serious pelvis and hip injuries can often lead to other short and long term complications ranging from bowel damage to impotence or the problems related to childbirth. Some individuals may also require spinal fusion to treat their severe hip or pelvis injuries and in a few cases, additional surgeries may also be required at a later date. This compensation range is typically awarded if the head injuries cause other serious physical symptoms such as paralysis of one or more limbs or if the brain damage results in drastic changes to your persona or intellect. Serious neck injuries that attract this range of compensation include dislocations and fractures that typically require surgery. This compensation amount is also awarded to those who suffer permanent discomfort stiffness or pain that restricts their usual activities as well as to those who have suffered whiplash or soft tissue injuries. Loss of vision in one eye, loss of an eye or partial visual impairment, all comes under the serious eye injury category, for which the above compensation range is considered. This compensation range is awarded to those whose back injury has left them in constant discomfort and pain. Those who suffer soft tissue injuries and disturbed ligaments are also entitled to this amount of compensation. The severity of the injury, the amount of pain the individual is in and the treatment that is necessary in the short term as well as long term are all taken into consideration when calculating the final compensation amount. Any fracture to the face such as a broken nose, a busted jaw or broken teeth will attract the above compensation amount. The exact amount awarded will depend how severe the injury is. This compensation range is awarded for serious injuries, which could range from the pain and discomfort of soft tissues damage to the movement restrictions of a frozen shoulder. This compensation range is awarded for any injury to the pelvis that requires hip replacement or any other surgery to the pelvis or hip area, provided that there is no serious or permanent disability. If there is a serious or permanent disability resulting from pelvis and hip injury, you will be entitled to get the higher compensation range that is reserved for very serious injuries. Loss of hearing in one ear comes under the serious injury category and attracts compensation within this range. The exact amount of compensation depends on whether or not there are any other associated symptoms such as dizziness. A head injury that does not result in brain damage comes under the moderate injury category and attracts this range of compensation. The exact amount of compensation that is awarded will depend on the severity of the injury itself and also if the injury is accompanies by any other permanent symptoms such as headaches or ringing in the ears. The severity of the neck injury is one factor and level of pain are two of the factors that are taken into consideration when deciding on the compensation amount for moderate neck injuries. The third factor is whether the neck injury limits your mobility and your ability to participate in normal activities at work or at home. Moderate back injuries range from soft tissue damage and disc problems to milder sprains and strains. The severity of the injury is taken into consideration when deciding on the compensation to be awarded. The possibility of long term effects and the treatment required also play pivotal roles in total compensation amount. This compensation amount is awarded to those who have suffered an eye injury that has resulted in temporary vision problems. Those who suffered a facial injury that resulted in light or no scarring but no broken bones may be awarded compensation that falls within this range. You may be awarded this range of compensation if you suffered soft tissue injury that lasted a few months up to about 2 years and if that injury healed completely within that time. This compensation range is awarded to those who have suffered from a hip or pelvic injury that has completely (or almost completely) healed within 2 years of the accident. If you suffer from ringing in the years or partial hearing loss, you may be awarded compensation within this range. These compensation amounts mentioned are only for the actual physical injuries sustained. They do not include other amounts that are awarded for out of pocket expenses, loss of income and other incidentals that you are entitled to be compensated for. When all of these are totalled, they can add up to a significant amount.